Not only Yoga, but other holistic Indian ‘wellness’ practices are fast gaining popularity in Russia. Ayurveda, the nature-based ancient Indian form of therapy, is becoming increasingly widespread and popular with Russians. In an interview with RIR, Dr. Mohammed Ali, head of the Ayurvedic “Kerala” clinic in Moscow, speaks about the efficacy of the treatment and his practice. Ayurveda, the millennia-old system of holistic medicine in India, is rapidly becoming popular in Russia. It is no longer an exotic choice. Now, the number of health-conscious Russian patients who prefer herbal medicines, oils and massages as ways of treatment and crave for attention that they don’t get in modern hospitals is on the rise. In this interview with RIR, Dr. Mohammed Ali, head of the Ayurvedic “Kerala” clinic in Moscow, shares his views on the current state of Ayurveda in Russia and speaks about his medical practice in the country. 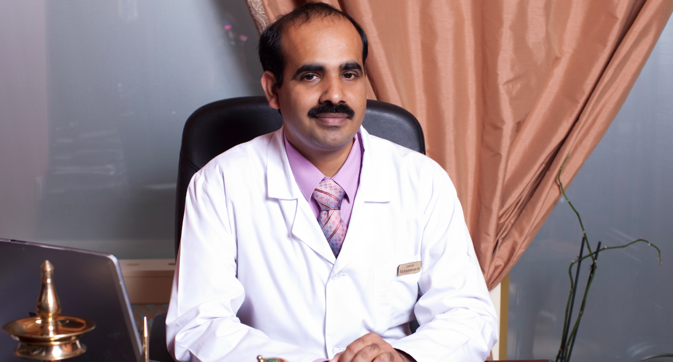 Dr. Mohammed Ali, head of the Ayurvedic “Kerala” clinic in Moscow, has worked in Russia for over 15 years. He graduated in Ayurveda with a BAMS certificate from the prestigious Ayurvedic institute in Kottakal, Kerala. He treated the 1988 Chernobyl nuclear tragedy victims suffering from radiation. Dr Ali got Doctor’s degree at the Russian People’s Friendship University. Have you noticed a change among people using Ayurveda over the past few years? Ayurveda is becoming increasingly well-known; more people recognize the word “Ayurveda.” I came to Moscow 18 years ago, when people barely knew about it, and I had to explain to them what Indian herbal remedies were and that there were no harmful chemicals in them. This is no longer necessary anymore since people know what it is. There is more confidence in Ayurveda now. Has the financial crisis affected your business? We are not suffering so much from the crisis for two reasons: firstly, the more expensive, luxury clinics are hit harder than ours; we have a lower price category, so maybe that’s why we do not feel the effect of the difficult economic situation so strongly. In addition, saving money on their health is the last thing people will do. Secondly, there are even some advantages in the current situation: people have started to leave the country less; they stay in Moscow but don’t want to stay at home, so they come here for a massage. I have not noticed a decrease in the number of clients. We tried not to raise prices much when the rate changed; we stayed consistent. Those who have savings in dollars or Euros now pay less. So, we have not suffered. How many clients do you get per month? I can say that we have 20,000 clients. We opened seven years ago. How do you assess the market in Russia, compared with other markets? On an average, if you compare it with Europe, people know a lot more about Ayurveda here. In Europe they are more careful. People here trust it more, 100%. Such clinics as we have, where there are so many employees, such conditions, such a level that can be found in the best Indian clinics, do not exist anywhere in Europe. In Europe, clinics are usually something like massage salons where the word “Ayurveda” is not even used. In Russia though, people know about Ayurveda and respect it. They accept it not as some kind of mystical thing but as a centuries-old Indian medical system. And, in my opinion, it’s much easier to do business in this sphere in Russia. In Russia, it is possible to study Ayurveda, at PFUR. How do you assess the level of Ayurvedic instruction in Russia? It is very good that Ayurveda is taught in Russia. But in order to become a qualified doctor, it is not enough. In India, Ayurvedic medicine is a full-scale parallel medical system, from the first course to the last, and in six years one must study Ayurveda alongside modern medicine and take a course in Ayurvedic anatomy, psychology, and pharmacology. It is also necessary to go through practical training in a hospital that only uses Ayurvedic medicines and procedures. This is difficult here. If there is a complete five- or six-year Ayurvedic education in Russia some day, then there will be more positive developments in Ayurveda, but there is still a lot of work to be done.